Adding insulation to the walls of an existing building typically is not economically feasible, unless the building is to be re-clad for aesthetic reasons or if other significant deficiencies exist. But replacing a roof system is an option. 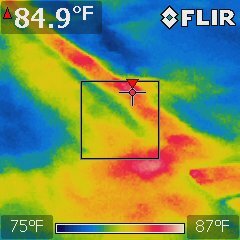 Thermal scans of a roof system can help technicians locate wet insulation that reduces energy efficiency. They can replace the insulation and address the cause of the leakage. If much of the insulation is wet, managers should consider complete replacement. This step not only would replace the inefficient wet insulation, it would ensure compliance with current building codes that require additional insulation. When adding insulation to a roof system, managers need to thoroughly review the impact on flashing heights and ensure the system is detailed to be reliable and to prevent moisture from migrating into the insulation and building. Significant energy loss through the building envelope is very common in both new construction and existing buildings. But managers have options to increase the envelope’s overall efficiency. New buildings require proper design, which might include integrating the air barrier, vapor retarder, and backup waterproofing as one component. In existing buildings, technicians will need to determine the sources of air leaks and address them. This work requires hands-on investigation and knowledge of building components and materials. Implementing energy-efficient building systems certainly increases the overall cost of construction, but organizations will see a viable payback from an energy-efficient building envelope. To achieve this efficiency goal, managers will need to ensure the building-envelope systems are properly designed and constructed with durable materials in a reliable manner. Insulation exposed to moisture, air leaks and other inefficient construction will decrease the overall efficiency.